If you order Dog Food SECRETS right now, I'll also throw in this additional bonus! 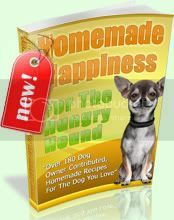 Included with the amazing information you get in Dog Food SECRETS 4th Edition package, you'll also get this book of 180 of the dog-owning community's favorite homemade dog food recipes. This book is a new addition & already its a hit with our customers because these recipes have been submitted by hundreds of dog owners who've already tested them on their own dogs and got a 4-PAWS UP! Now you can get your own copy free when you order today. But to get this bonus, YOU MUST ORDER RIGHT NOW! Yes! I want to get immediate risk-free online access to "Dog Food SECRETS 4th Edition" - a complete guide to feeding my dog a healthier, safer diet of calorie controlled ultra-nutritious food, proven to add up to 8.3 years of life! "Canine Diet Changeover Guide" so my dog can change to a healthier diet WITHOUT the gas, diarrea, vomitting & lethargy typically experienced when changing diet the WRONG WAY ($27.00 value). "23 Healthy & Delicious Doggy Treat Recipes" which contains 23 hand-picked dog treat recipes (with calorie breakdown) Andrew tested on his own dog, Ginger ($23.00 value). 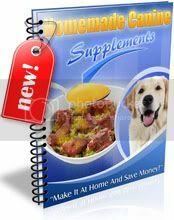 AND FREE Life Time Updates to New Editions of Dog Food SECRETS (now in its 4th Edition), so I'll always have access to the most recent nutrition and feeding techniques as Andrew's team discover them, forever ($127 value). If within 60 days, I have not experienced an extraordinary improvement in my dog's health following the feeding advice and recipes in Dog Food SECRETS 4th Edition, or if I am dissatisfied with Dog Food SECRETS in anyway, my refund request will be honored instantly. Please take a short moment to fill in the information below, and you will be re-directed to the Dog Food SECRETS download area, where you will be able to download the FULL Dog Food SECRETS 4th Edition package, including all bonus material. You can be sure your information is 100 percent secure as we use Clickbank to process our orders and they are one of the largest and most trusted payment providers on the internet, processing thousands of orders every day. *Your receipt and instructions will be sent to this email. Your personal info is kept confidential. Over the past 3 years we've surveyed 11,741 Dog Food SECRETS customers, who are dog owners just like you & asked them what they need & want to know when it comes to their dogs. Using those suggestions & feedback, not only have we released 4 editions of Dog Food SECRETS, we've also created these 6 SPECIAL guides, which means when your dog needs your help most, you'll be there with the everything she needs. None of these brands were recalled in during the dog food crisis of 2007! 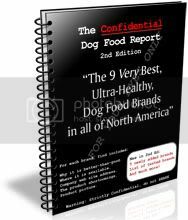 The Confidential Dog Food Report: "The 9 Very Best, Ultra-Healthy, Dog Food Brands in all of North America" 2nd Edition Just Released! A detox recipe so you can give your dog's system a regular "oil-change-and-service"
Pack Your Puppy With Power NEW! 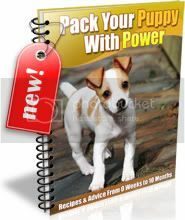 How to feed your puppy from birth until it can begin an adult diet at 10 months of age. 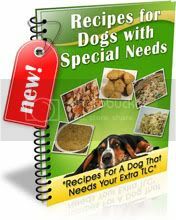 Recipes for Dogs With Special Needs NEW! 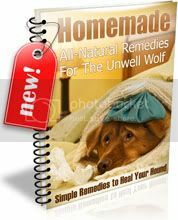 Homemade All-Natural Remedies For The Unwell Wolf NEW! Homemade All-Natural Soaps & Shampoos For The Dirty Dog NEW! "The EDO Pack Looks Like Too Much Information?" Relax, you don't have to read everything now... the point is you add it to your EDO library for future reference when you need it, because upgrading your order now saves you hundreds of dollars if you were to buy these books separately AND valuable time when your dog needs your help the most. Because we've read 11,741 completed surveys from dog owners like you, that own dogs in ALL stages of age and health, we have a rare insight into what you're going to need. In fact, we know what you'll need before you even do. The EDO Pack has you and your dog covered.